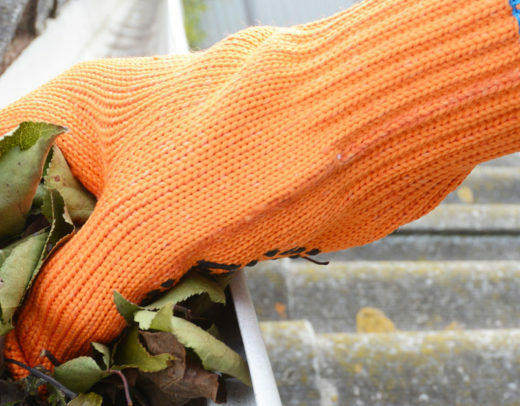 cleaning and restoration services for businesses. Pristine Coatings have their yearly Working At Heights certificate renewed to ensure all staff are fully confident and capable carrying out a first class service. We clean more than just roofs. 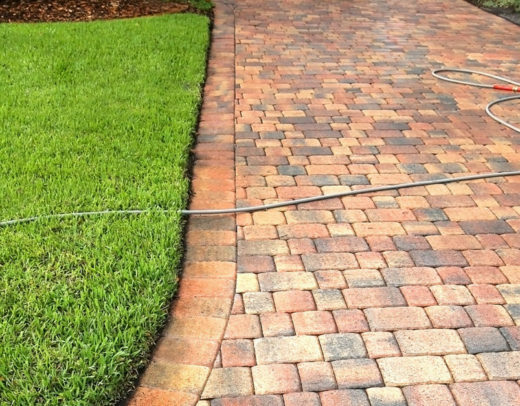 We can also clean patios, wood and masonary. Get in touch and we can discuss your needs. 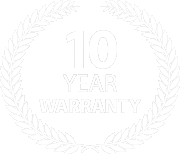 All of our coatings come with a 10 year warranty! Not wanting to replace your roof? 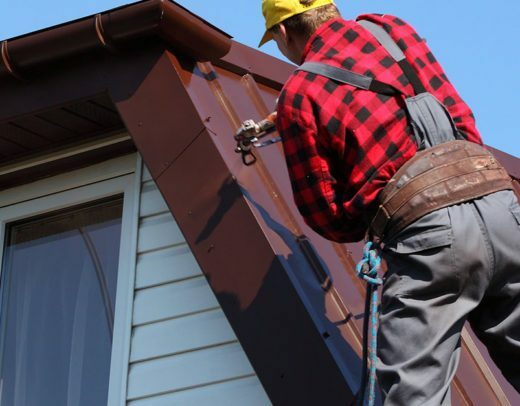 It can be extremely costly to replace your entire roof. Our services can restore your roof to it’s former glory at a quarter of the price. We offer multiple services that could help you avoid these huge costs. Not only will we clean and restore your roof but our coatings come with a 10 year warranty. Watch our video to see how our team execute our 5 stage cleaning process. Below is a detailed description of each stage and what we do to ensure our work is first class. 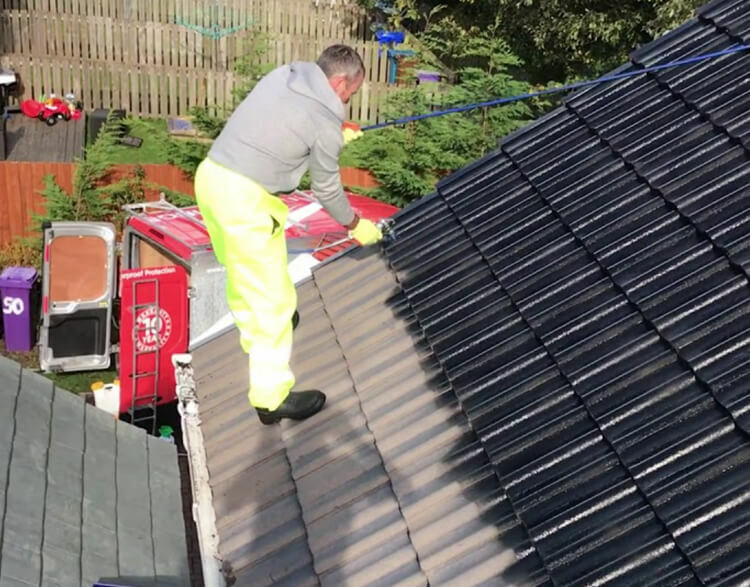 After we receive your initial call or contact form, we will call out to your premises to conduct a thorough risk assessment of the roofing structure and provide you with a method statement, which details the way forward. 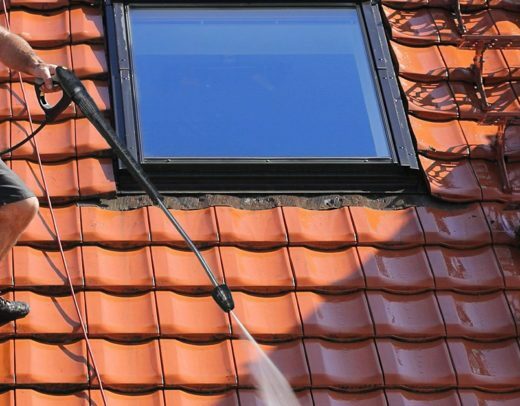 You will also be fully advised of the cost of your roof cleaning procedure. 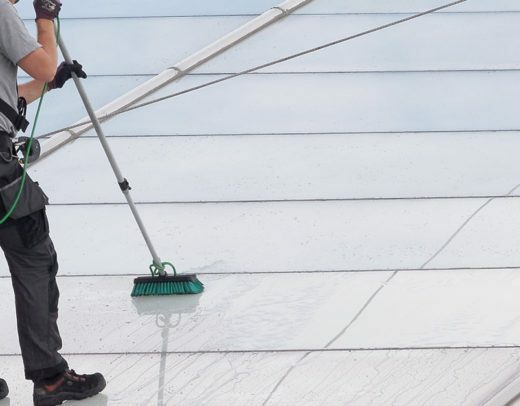 Our expert roof cleaners will arrive at your property on the date and time agreed and carry out your roof clean in the manner specified in our method statement. 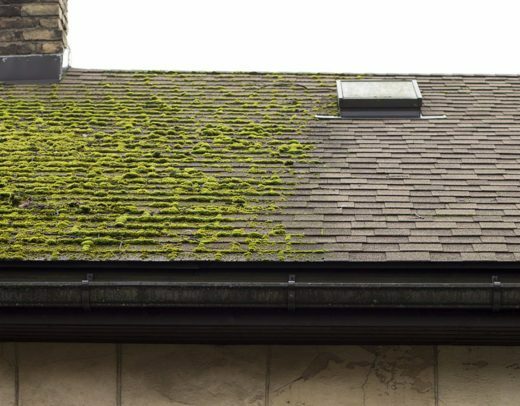 Any existing moss, lichen or algae on your roof will be totally removed during the cleaning procedure and your roof will look like new following its thorough clean. If you need any further works carried out to renovate your roof, this will be carried out. 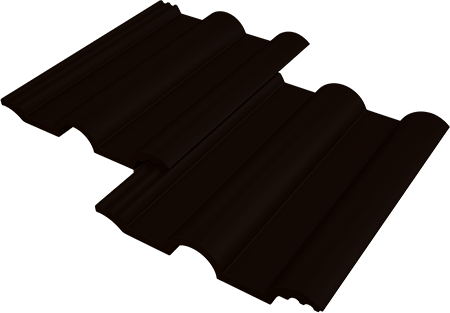 For example, replacement tiles or roof coverings, felt etc. You can rest assured that your roof will be renovated to "as new" condition prior to any additional treatments. 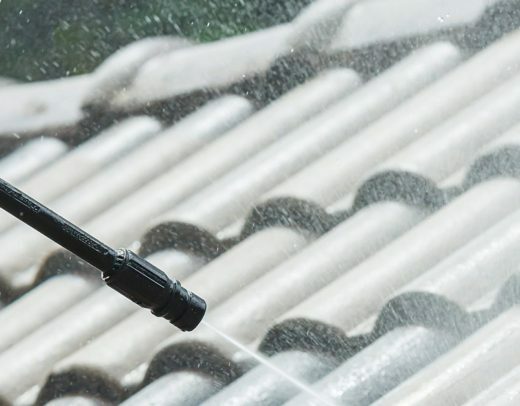 Once your roof is in pristine condition, we carry out an anti-fungicidal wash, using specialist solutions that will prevent any chance of moss or lichen growing on the roof again. 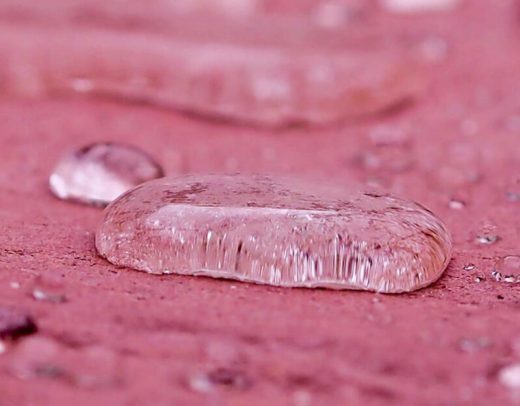 Finally, we apply our professional standard waterproof roof coating to your roof to ensure that there's no further possibility of water or damp penetrating into roof voids and causing any further damage to timber structures. 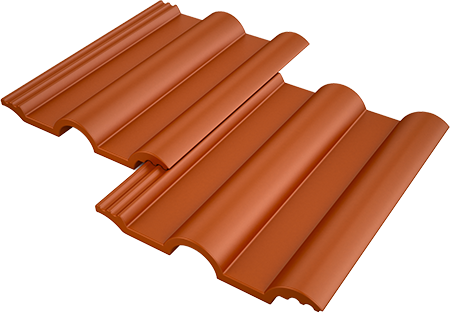 Our advanced 10-year polymer roof coatings are developed specifically for coating and repairing roof tiles. 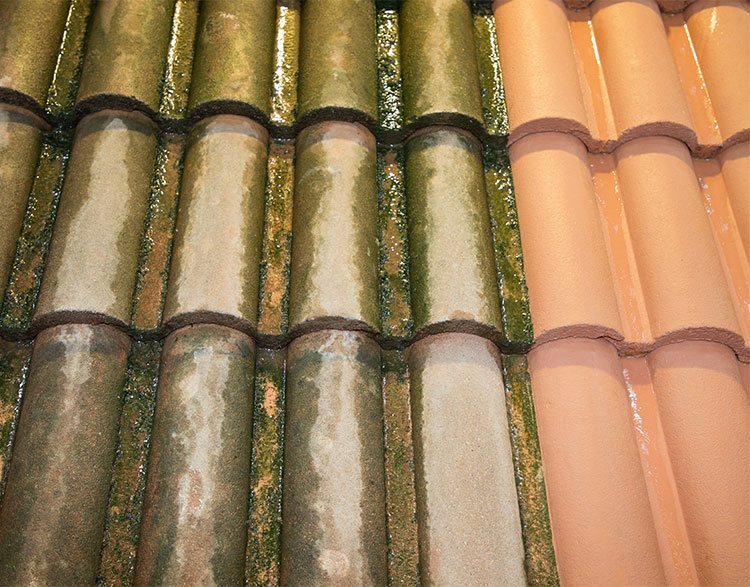 The coating acts as a roof tile sealant and colour restoration product in a single treatment, repairing and protecting roof tiles. 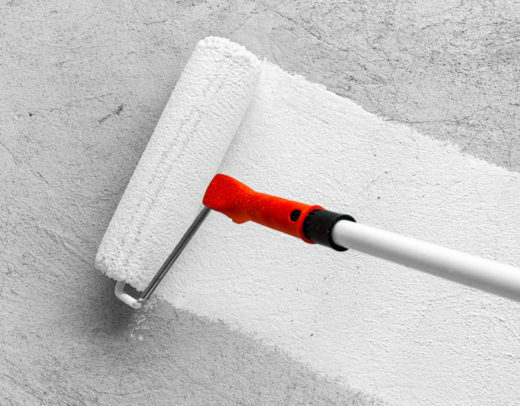 Our coatings protect for up to 10 years from blistering, delamination & premature adhesion failure.